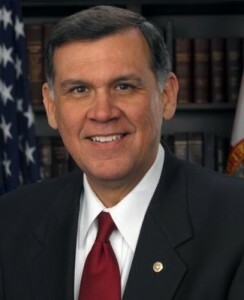 The White House dodged a bullet Tuesday in Florida, as Republican voters selected Bush favorite Mel Martinez as their nominee for that state’s open Senate seat. With that uncertainty behind them, the Republicans’ biggest worry is whether the bitter last days of the Florida primary will hurt Martinez, who faces former state education commissioner Betty Castor for the seat currently held by retiring Sen. Bob Graham. Those “things” include attack ads Martinez leveled against McCollum, calling him “anti-family” and allied with “the radical homosexual lobby,” presumably because of McCollum’s past support of hate-crime legislation. On the Democratic side, Castor successfully avoided such party infighting. She led the polls early, and cruised to victory Tuesday with more than 55 percent of the vote. All her opponents have already endorsed her ahead of what’s expected to be a close general election. Martinez obviously has some work to do to regain the trust of social moderates, his trial-lawyer background reportedly makes some Republicans uneasy, and his recent spat with Gov. Bush will no doubt provide Democrats with campaign fodder. Martinez has survived a tough contest, but Castor will no doubt prove a formidable opponent.